Spread the Word is pleased to share the longlist for the Life Writing Prize 2019, in association with Goldsmiths Writers’ Centre. We’d like to thank all 964 writers who entered the Prize this year. We received many, many excellent pieces of writing for this year’s Prize and putting the longlist together was no easy task. The winner will be announced on Wednesday 15 May at a special event at Goldsmiths, University of London. 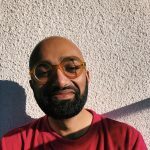 The 2019 Life Writing Prize winner will receive £1,500, publication on Spread the Word’s website, an Arvon course, two years’ membership to the Royal Society of Literature and a development meeting with an editor and an agent. Two highly commended entries will each receive £500 and two mentoring sessions, a development meeting with an editor and an agent, and be published on the Spread the Word website. You can come along for free and hear each longlisted author read a short extract from their work. The event is currently fully booked, but you can register for the waiting list in case of drop outs or more tickets being released here. You can read more about the longlisted authors here, who are listed in alphabetical order of their pieces. 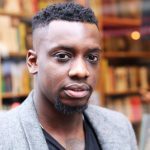 Having graduated from the University of Brighton in 2011 with a degree in English Language and then pursued a whirlwind career in B2B tech PR (it’s sexier than it sounds), Leke Apena has decided to write unconventional, challenging and entertaining stories about the modern Black British experience. Why? Because they are not enough well-written stories about complex, funny and multifaceted Black British characters and Leke is on a mission to change that. He hopes to publish his first novel, A Prophet Who Loved Her by the end of this year. Originally from Wiltshire, Madeline Cross now lives in Edinburgh where she works for a youth homelessness charity and is writing her first collection of short stories. 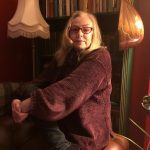 Her stories have previously appeared in Tangerine Magazine, Structo, Litro, Rattle Tales, The Honest Ulsterman and the Mechanic’s Institute Review. Alison Marr, originally from Northern Ireland is a musician and songwriter based in London. 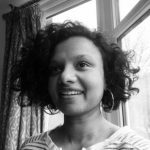 She studied Creative Writing at the OU and writes short stories and poetry and is currently working on a collection of fairy tales set in Kilburn. When not writing she plays jigs and reels on her mandolin. Sam Hampson grew up amongst the tall pines of the Forest of Bowland in Lancashire, reading tales of the faeries and witches that live there. Later, Sam read modern European literature at King’s College London and the University of Cambridge where he specialised in ecoliterature and ecophilosophy. 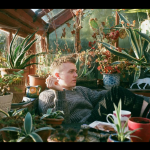 Sam’s writing often returns to the theme of ecology whilst also exploring related questions of sexuality and topography. ‘Four Memories from a Berlin Summer’ is Sam’s first work to be published. Aisling Twomey is a writer and yoga teacher, born and raised in Ireland but now living in London. 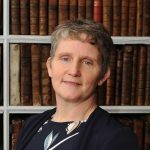 Her work has been published in the Irish Law Times, the Irish Times and the Irish Independent among others. She also writes for Book Riot. 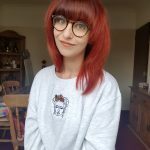 Aisling is currently working on her first novel for young adults and is studying for an MA in Creative Writing at Birkbeck, University of London. Helen Longstreth is a writer currently living in London. 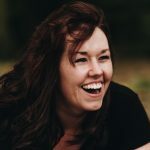 She studied previously at the University of Manchester, The University of California, and recently completed the MA in Creative Writing at Goldsmiths where she was awarded runner up for the 2019 Pat Kavanagh award. She has worked as the assistant editor for the online magazines POSTmatter and Motherland, and is now working on a novel. 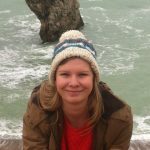 Charlotte Derrick is an emerging prose writer from Belfast, Northern Ireland. She is currently on the MA in Creative Writing at Queen’s University Belfast. Her work has been featured in The Honest Ulsterman and Coming Out. Sulaxana Hippisley has been an A-level English teacher for the last eleven years and works in a Sixth form college in North London. Her short stories have been longlisted by the Bristol Short Story Prize, Desi Writers Lounge and she was the runner up in the Asian Writer Short Story Competition in 2014. 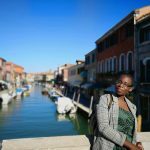 In 2017, she was selected to be part of the Almasi League, a writer development programme run under the tutelage of Courttia Newland and the Arts Council. The Spread the Word Life Writing Prize is her first foray into memoir writing. She is currently working on a short story collection and lives in North West London with her three-year-old daughter. Roisin Maguire is a business manager and keen recreational scuba diver and scuba instructor. She has always enjoyed writing and has decided that now her four children have grown up a bit, that she is going to put more time and effort into it! She enjoys life writing especially, as it gives her an excuse to try new things and go to new places to ensure she has always got something interesting to write about. Oluwafunmilayo (Funmi) Adewale is a former teacher and an eternal student. She is currently doing a Creative Writing MA at St. Mary’s University. She enjoys writing in all its forms and recently had a short story published in the anthology, Gains and Losses. Funmi blogs about mental health and other issues at www.in-sane-mind.com and can be found on Twitter @Fumtastic. Through her writing on mental health issues, she hopes to gain more insight into herself and encourage greater openness in others. She is most at home when playfully conversing in Yoruba or when weaving her way through London traffic on her beloved green bike. Laurane Marchive is a French writer and director living in London. Her work has recently appeared in Mechanics’ Institute Review 15, TSS Publishing, MIROnline and the TLS. 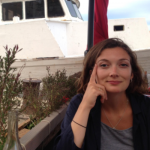 Marchive is a past winner of the French Escales des Lettres and, in 2018, was the joint winner of the Highlands and Islands Short Story Association competition. In 2019, she will graduate from the MA in Creative Writing at Birkbeck. She also runs a circus.